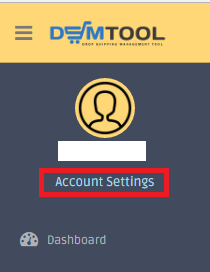 The good thing about DSM Tool is, it can manage and monitor pre-order items. 2. Click on Monitor tab. 3. Under Amazon Advanced Settings, click on the box beside the option Treat Amazon Pre-Order items as In Stock and it will turn to green, that means it is turned on. Note: This option can be turned on or off at any time. If this option is turned on, items on Amazon (or any other marketplace) that are currently sold as “Pre-order” will be counted in the monitor as “In stock”, while of “Out of stock” once it is turned off. You must be very careful in checking the date on which those pre-order items will be released and shipped so that it will not create issues with your shipping policy. Once you turn on this option, it will be your responsibility to check such items. This option can be very useful if an item is being released within the next few days, and then you can actually sell the item with minimum completion.